For 45 years the company has been developing plant solutions for the sanitation and plumbing in the civil, industrial and naval sectors. Since the time the company decided to consecrate its activity to the production of pre-fitting systems as to ease plumber activities, the company decided to make the difference. 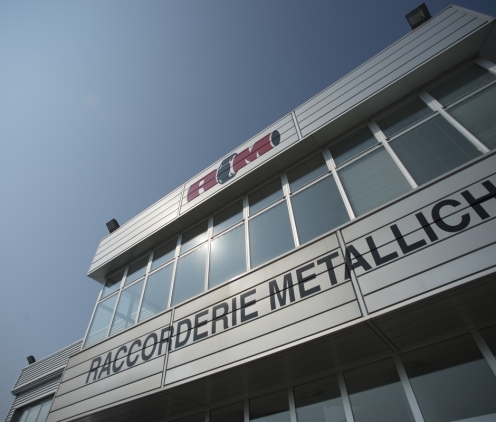 Raccorderie Metalliche is constantly working to improve the production process and search for perfection, in terms of results, as to provide for further developments on a more and more competitive and selective market. The use of Raccorderie Metalliche products in the civil sector is varied to comply with any requirement. Thanks to its experience and wide offer, the company covers the great majority of the applications in the civil sector: potable water, cooling, gas, compressed air and drains. The value of the product, besides the product. Certified systems all over the world. A product offer entirely covering any installation requirements. A technical team to support any installation and on-site training step. An internal quality lab as to test materials thanks to the best-in-class technologies. Training courses on the product use for the different applications. Availability of the products all over the world, through our customers-dealers.